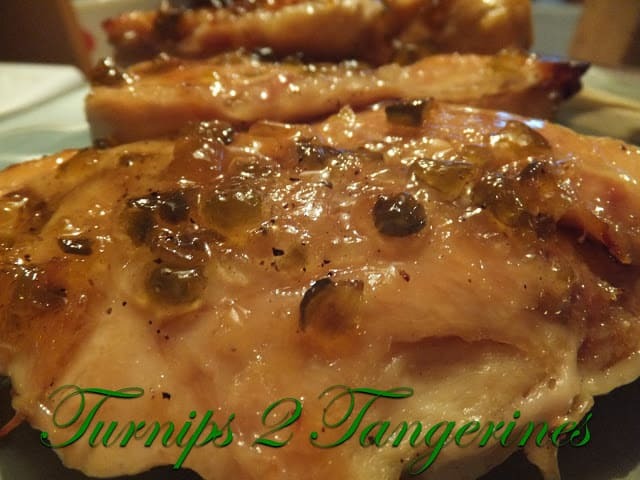 In this recipe you can use either chicken breast or chicken thighs. 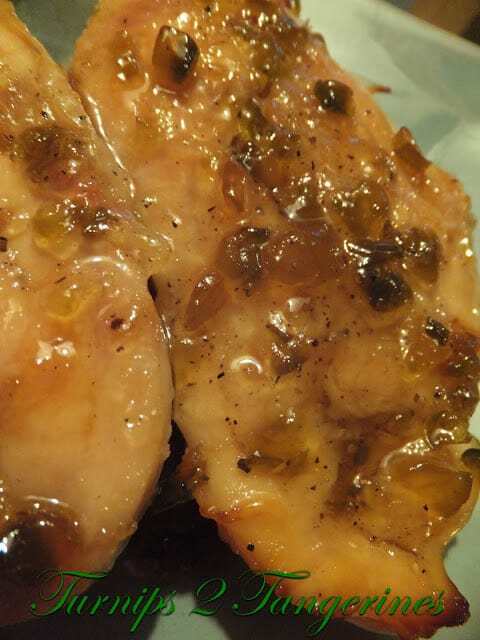 This recipe works really well with chicken thighs so when they go on sale in your area, pick some up and make this recipe. 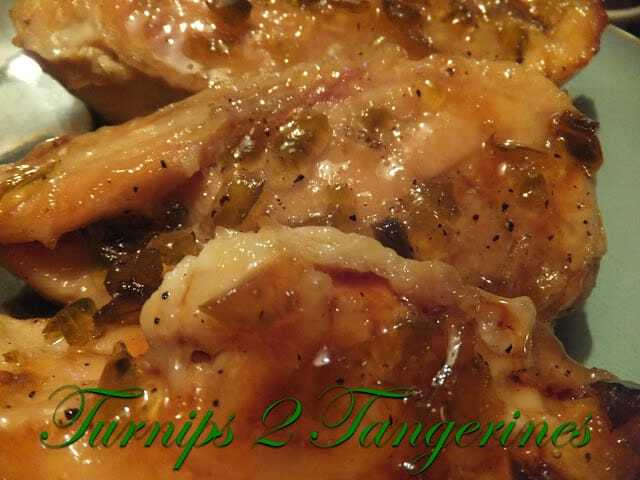 I prefer to make this recipe with chicken (thighs) that has the skin on but you can remove the skin if your on a diet or for health reasons. Left-overs make great cold chicken sandwiches and you can use the chicken in any recipe that calls for cooked chicken such as chicken salad. Spicy, yet fruity and Delicious. Preheat oven to 425º Line a 15 x 10-inch jelly-roll pan with foil; spray foil with nonstick cooking spray. Arrange chicken in a single layer on prepared pan. Bake 15 minutes; drain off juices. Combine jelly, oil, lime juice, garlic, chili powder, pepper and salt in small bowl. Turn chicken; brush with half of the jelly mixture. Bake 25 minutes. Turn chicken; brush with remaining jelly mixture. Bake 20 to 25 minutes longer or until juices run clear. This looks like a wonderful recipe. I'll have to try it. Visiting from the Mums Make Lists linky party.